Based on the needs of the customer woven mesh made of different kinds such as twill, filter, with rectangular mesh with square mesh, achenes. It is made from brass, mild and stainless steel wire, or polymeric materials. 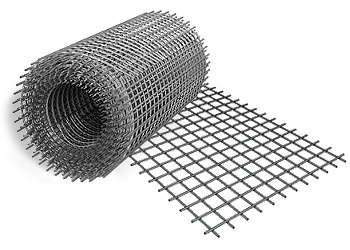 Usually you can find woven mesh with rectangular, square and round sections. Virtually no different from the metal mesh fabric, production and composition is identical. In addition to base comprises metal. Steel wire is a little more expensive, but more durable and. Normal web width — 1000 mm. It is made of two kinds of weave: twill and linen one-sided. The grid is used for dewatering solutions, cleaning up of gases and air. The width of the blade varies from 1000 mm to 1500 mm. When transporting the nets are wound into a roll and polyethylene tightened. Also manufactured with stainless steel grid cell sizes up to 4 mm. Type of weaves in a grid — canvas. The cell size of 0.4 to 20 mm. It supplied in boxes packed in pre-roll. These characteristics are given for the mesh fabric. GOST 3826 82 to change the technical specifications shall be prohibited by law. It is a tiny square cell weaves. Made from high-alloy stainless wire. In stock «Electrovek-steel» company offers a wide range of woven nets of standard and custom settings. Our offices are located in Russia and Ukraine. Making a purchase is possible, without leaving the office, for example, on the internet through the Company’s website. To purchase just need to place your order and click «buy». If necessary, on any current problems you can consult our managers. They will provide all the necessary information regarding the products, price range, the implementation conditions. Lead times are minimal. When wholesale purchases include preferential discounts.